With Halloween so close I figured I should start sharing swatches of the few collections I've picked up this year. 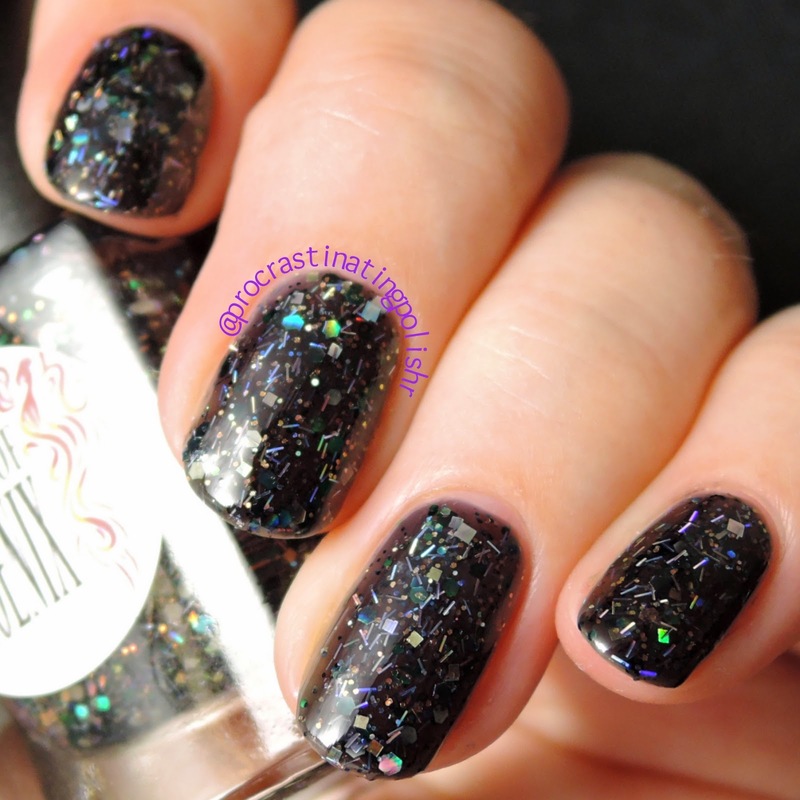 First up is a dark and sparkly duo from Shades of Phoenix. 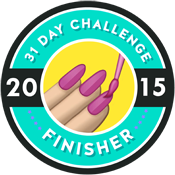 All swatches are three coats with top coat. Black jelly with purple shards, iridescent green hexes and small orange hexes. When I started applying this one I thought maybe the base was a dark purple but I think it may have been a trick of the eye due to the amount of purple glitters. 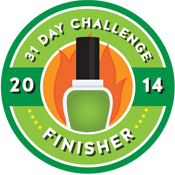 The glitter is a little subtle indoors, but outside (or in direct light) the green hexes bring the whole thing to life. 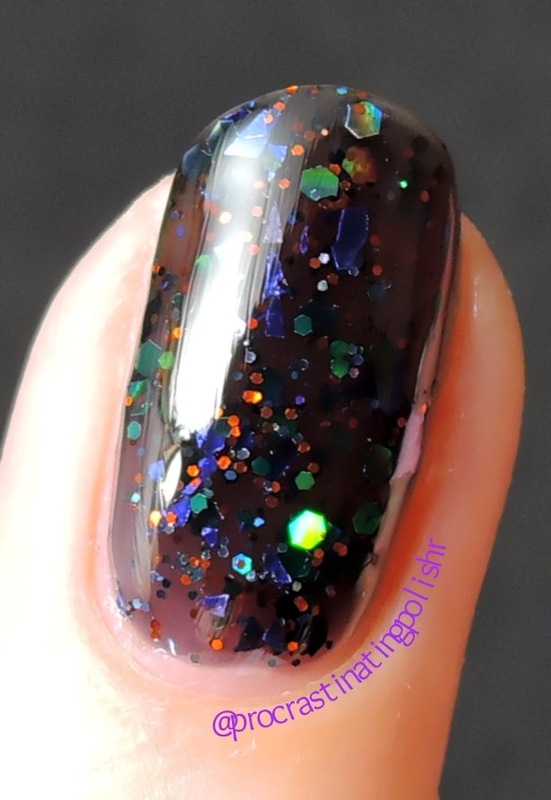 I love that this polish combines the traditional Halloween colours into something that could be worn year round. No subtlety here! Third Harvest brings a real burst of sparkle with tiny iridescent silver bar glitter and hexes, iridescent silver squares and green hexes. The black jelly base provides the perfect backdrop for all the shininess going on. 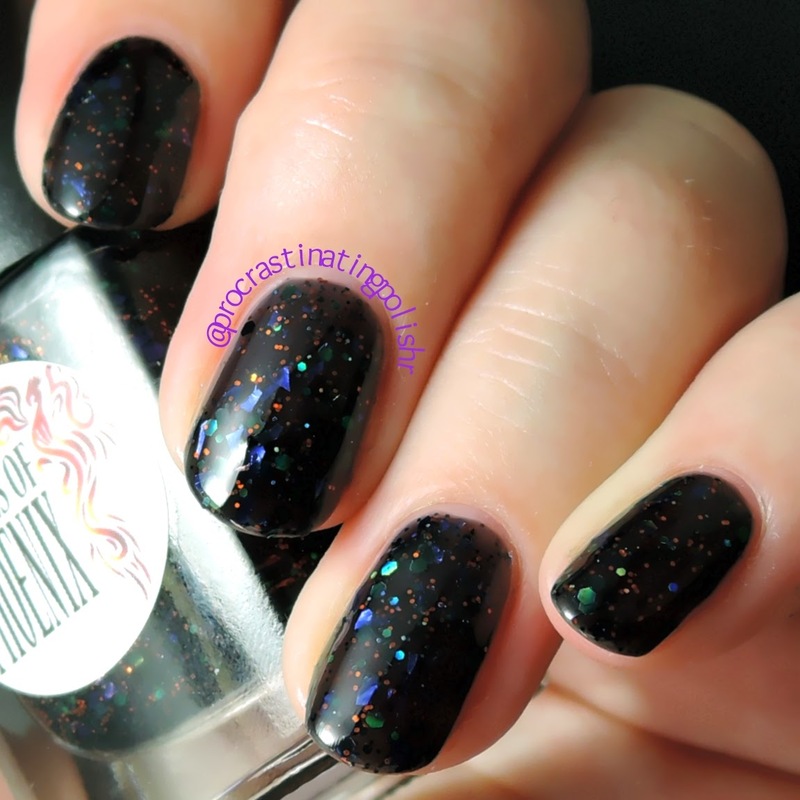 I absolutely adore this duo, which was inevitable given my love for rainbow filled blacks and consistently brilliant polish from Shades of Phoenix. 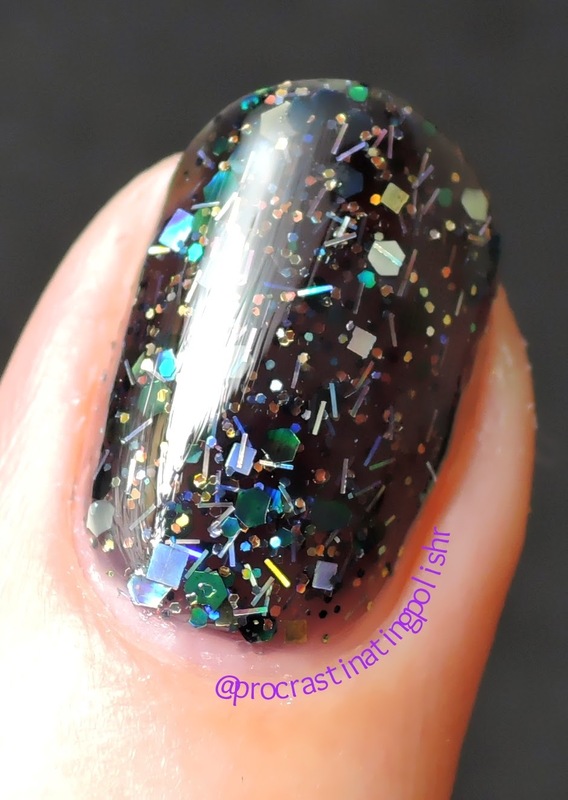 The jelly base takes 3 coats for optimum opacity and squishiness, but one coat over a black base will give you decent glitter payoff if you prefer it that way. The duo is limited edition, but should still be available once the Shades of Phoenix store reopens after their big (physical) move. Keep an eye on their Facebook or Instagram for info on when they will be reopening.